Sometimes you just need to make a few hundred dollars to pay for a single event, like a holiday or vacation. Other times, you need something ongoing to help shore up your budget. If this describes your financial need, here are 15 money making side jobs you might want to consider. You probably have talent to do one or more of these and they’ll work well in conjunction with a full time job in an unrelated field. Computer troubleshooting. Many people need someone to “figure out what’s wrong” with their computers. It isn’t the kind of thing that needs full blown computer repair (like the Geek Squad) but it needs more skill than what the user has. If you have above average ability when it comes to computer troubleshooting, this could be a steady income. Pet sitting. There are households where everyone in the house works outside the home. That makes having a pet (especially a dog) even more important but difficult to care for at the same time. People will pay others to take care of their pets while they’re working and especially when they’re away for a few days. Babysitting. You don’t have to start a daycare in your home, but if you’re available to baby sit on a regular basis and can prove yourself trustworthy, you can develop a regular cash flow from this activity. In my area babysitters are getting $10 an hour, and many of them work from home. Graphic design. Millions of people have online businesses and either don’t have graphic design skills or don’t have time to use them. By networking with online businesses you may have more work than you can handle in short order. House painting. If you have decent painting skills you may be able to pick up some quick cash on a regular basis by painting a room or two a time. One weekend could bring in a few hundred dollars. 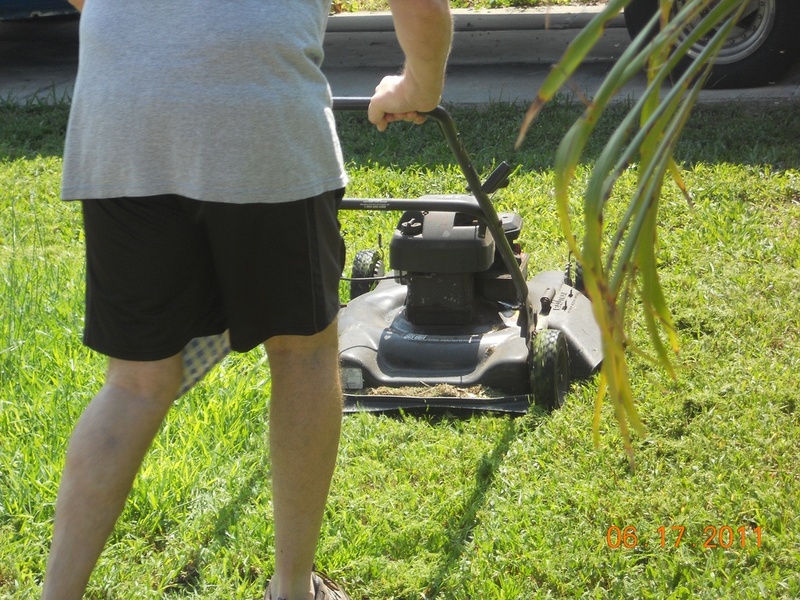 Lawn cutting. 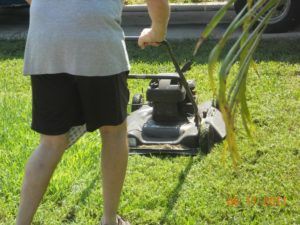 When I was a kid, everyone cut their own lawns; now it seems that no one does. If you like to do outdoor work, this can work for you. Seasonally, you could do property clean-up in the spring or leaf removal in the fall. You can also restrict your work to hedge trimming, if you have the right equipment. Car repair. You don’t have to be able change a transmission to do car repair. Doing routine work, like changing oil, rotating tires and doing tune-ups can keep you busy all year round. Bookkeeping. There are more small businesses than ever, and while there are bookkeeping software packages that make the job easy, many business people have neither the time nor the aptitude to do it themselves. Get one or two clients, and you can get many, many more. Seasonal work. We normally think of Christmas when it comes to seasonal work but in fact there’s work available for each season. For example, during the summer, many public and private swimming pools need staff. In the winter, ski resorts are hiring. Income tax prearation. This might be the ultimate seasonal job, and it’s a reliable one too. Tax work drops off dramatically after the filing date, so many tax preparers are desperate to find seasonal workers. Taking a popular tax preparation course, like Liberty Tax Service or H&R Block can get you started. Tutoring. Most of us have skills that we’re better at than most people. Nearly any skill can be used as a tutoring opportunity—music, computer skills, language, test preparation, and repair work are just a few of the possibilities. ”Micro-projects”. Many companies and even individuals are beginning to outsource micro-projects as a way of getting small jobs done quickly and for not a lot of money. Various companies and applications, including Gigwalk, TaskRabbit and Mechanical Turk, provide the venue for these tasks. The jobs are all different and you can take on as many, or as few, as you have time for. Light hauling. If you have a good, sturdy light truck, van or SUV, you may be able to do some light hauling for others who don’t. There are many people who live alone, are physically unable, or who only have subcompact cars and may need the occasional services of someone for light hauling. Home repair. You don’t have to be a home repair expert to make this work. Most times people only need someone to do minor repairs, such as fixing a damaged wall, replacing a doorknob, or repairing a leaky faucet. If you’re a homeowner who does your own minor repair work you may be fully qualified to work for others. Musician session work. If you can play a musical instrument you may be able to do session work. That’s where you get paid to work with a band on a per job basis. Guitar, keyboards or percussion will be most in demand, but you may also be able to find work if you’re accomplished with a different instrument, like a saxophone or piano. Have you ever tried any of these side jobs to make extra money? The only one on that list I’ve done is tutoring. We don’t have Taskrabbit here but we do have PocketJobs – but there aren’t a whole lot of listings and competition seems fierce.